Tag Archives: "niviuk Kougar 2"
Our good buddy James Allred did some amazing video work with us recently utilizing his quad-rotor to film this sick-nasty little edit! We hope you enjoy the video, if you want to demo a Kougar 2, please let us know and we will add you to the list. 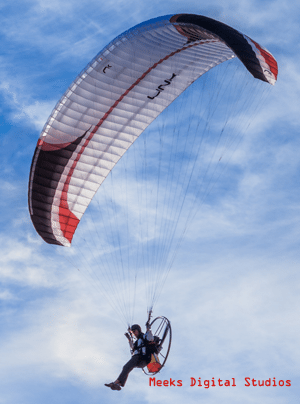 The Niviuk Kougar 2 is a state of the art reflex paramotor wing intended for intermediate to advanced pilots. It is highly efficient and fun to fly.